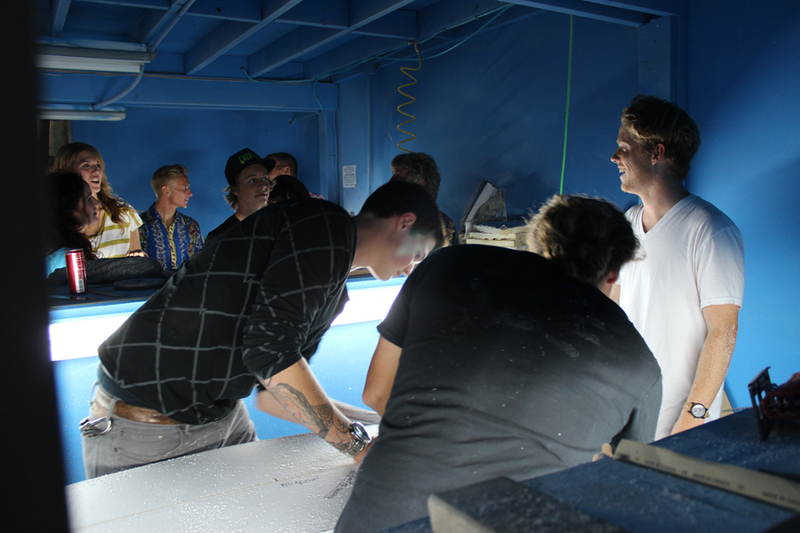 Michael Weybret of Shaper Studios sharing his surfboard shaping knowledge with the attendees. A solid session in the ocean is the best way to start the day. Little did I know it was only going to get better. We came across a flyer for a surfboard shaping demo in San Diego, CA. The flyer read "Shaper Studios - Where surfing is made." Unaware of this place , We decided to check it out without any expectations. Boy were we in for a treat! As we walked in, positivity was palpable and the air was filled with good vibrations. Upon entering we were greeted by a beautiful young woman and an eccentric and stoked individual, Derrik Kapalla. Derrik co-founded Shaper Studios along with Christopher Clark. A few minutes into our arrival Chris Clark comes by to say hi and introduces himself. We share greetings and start chatting. 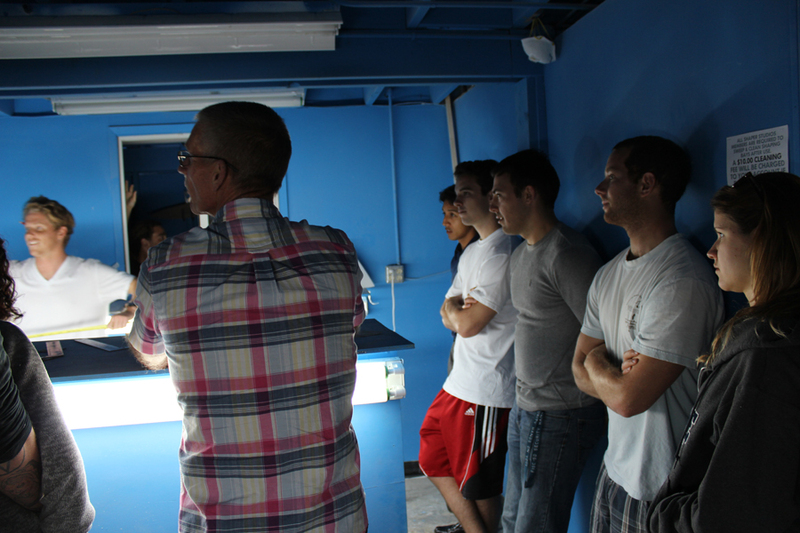 Our curiosity bombards Chris with questions and we immediately get educated on what Shaper Studios is all about. 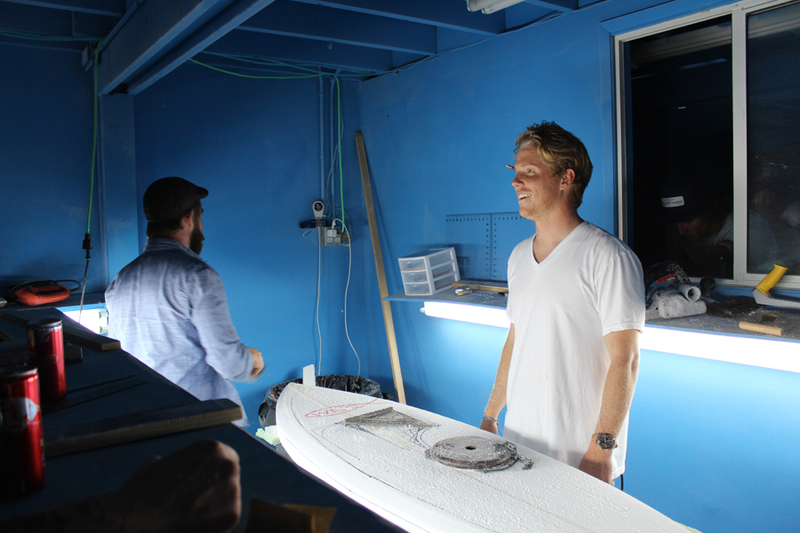 It was obvious that we were in a place where they made surfboards, so we asked Chris, "Where do you sell your boards? What stores carry them?" Chris smiles and replies with a calm "We don't sell them. Stores don't carry them, you make it here." As soon as Chris said that, everything started to make sense. The spirit in this place was alive and full of passion, which resonated in all it's staff and supporters. Where Surfing is Made is the perfect reference slogan for Shaper Studios, this is literally where it all starts, making your own surfboard. Have you ever thought of making your own surfboard? Did you even think it was possible to make your own board? Then Shaper Studios is your spot! They're a group of passionate surfers who decided to create a place where anyone could come and learn the art of shaping your own board. Young and older, beginners to advanced, everyone is welcome. All the instruction and tools reside at Shaper Studios for your personal use to take advantage of. The facilities are clean and organized. The people that work there are experienced and share a common self confident demeanor that speaks highly of Shaper Studios. The phrase "Labour of Love" truly describes the essence of Shaper Studios.